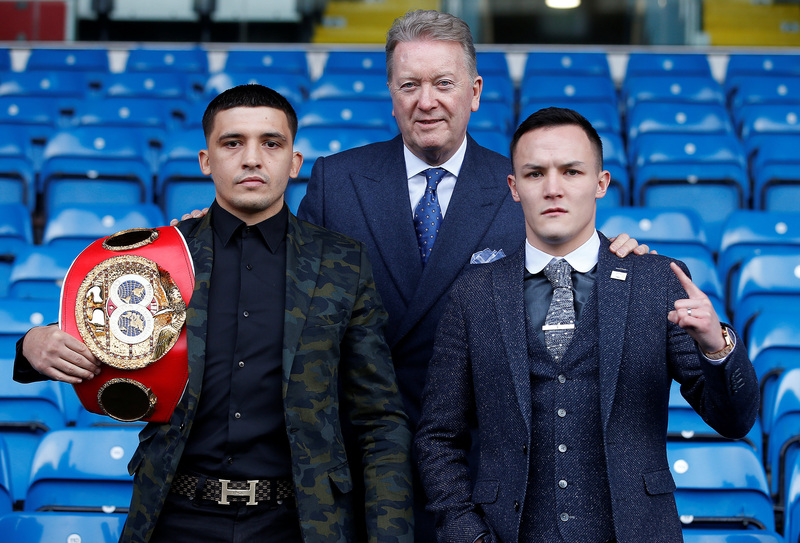 IBF World Featherweight Champion Lee Selby and Mandatory Challenger Josh Warrington came face-to-face at a press conference at Elland Road today ahead of their all-British blockbuster World Title showdown on Saturday 19th May, to be shown live on BT Sport and BoxNation. “Coming here (Elland Road) doesn’t faze me in the slightest. If you’re banking on me falling apart before the first bell goes then you have another thing coming. I think it’s a great fight, Josh Warrington has done everything that has been asked of him. This time he actually has the chance to win one of my titles rather than buy it off me. I’m the Champion and no one has given me anything. His fans won’t be in the ring with him on the night. If Josh comes steaming out with all of his fans behind him then I’ll just box his head off. “This is my destiny. Two years ago Lee said that I’d never get another opportunity to fight for a World Title but I’m here, I won my Eliminator. You can’t mess with destiny. This is just meant to be. On May 19th I know there’s going to be a few things; there’s going to be a royal wedding, there’s going to be an FA Cup final and Leeds’ are going to have their first World Champion. “This is a chance for my fans to make a few quid. I’ve been the underdog before and it doesn’t faze me one bit. Lee is not the big be all and end all superstar that he thinks he is. He’s been shaky in all of his defences and he won’t be making another one after May 19th. “This is a fight that we have been working very hard to put together for a while. Josh signed with me a while ago and he’s one of the best fighters I have had the pleasure of working with. We have a great World Champion here in Lee Selby, he’s showed a lot of balls accepting this fight here in Josh’s backyard and in front of his fanatical Leeds supporter. We have got all of the ingredients for a fantastic fight on May 19th here at the home of Leeds United. Josh had to go through an Eliminator to get himself into the number one spot, he has forced the issue. Conor McGregor and Floyd Mayweather Still Making Headlines; Is a Rematch in Store for 2018?